It’s hard to believe that we are already moving into October at Woodhaven Middle School! Before we look ahead, we should quickly touch on a few of the many great events from September. Very recently, we were excited to welcome Wade Sorochan to Woodhaven to speak to our students in grades 7-9 on the impact of Social Media on their personal wellness. Wade also spoke to parents in an evening session on Thursday, September 26th at Stony Plain Central School. 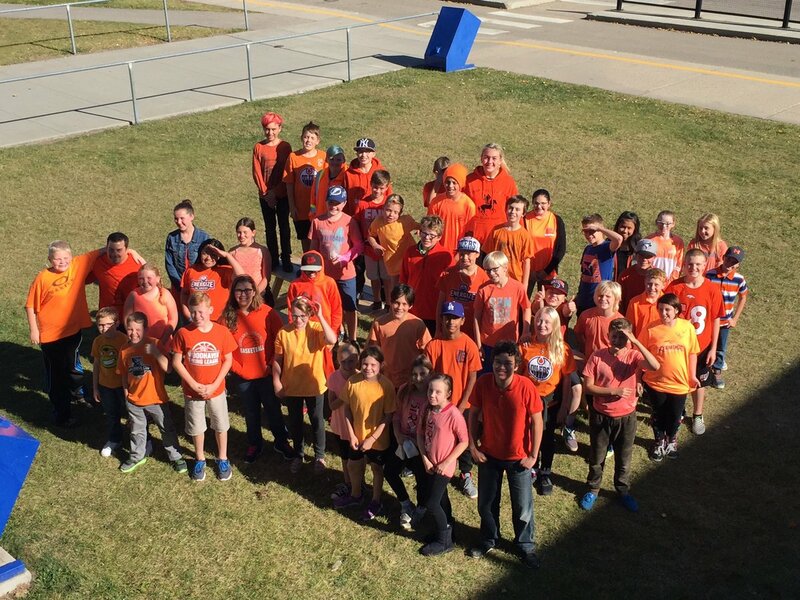 Also last week, our Maranatha Christian Program participated in See You At the Pole and many students at Woodhaven participated in Orange Shirt Day. As we look forward to October we have quite a bit happening that I would like to tell you about. Later this week, on October 4th at 8:30 a.m. our Maranatha Christian Program (MCP) will be hosting the first Joint Chapel, inviting our friends from Brookwood School. All parents are invited to join us for this opportunity. On October 5th our public health nurse will be coming out to discuss the impending immunizations for our gr 5&9 students. This will be followed up with forms coming home for those parents, so please keep an eye out. As you are likely aware, Friday October 6th is a Professional Development Day in Parkland School Division, so students will be excited for a super long weekend, as they are not required to attend on Friday, or on Monday October 9th as it is Thanksgiving. Also coming soon are our 1st Parent/Student/Teacher Interviews on October 18th and 19th. You will be receiving information soon on how to book an appointment for this next opportunity to discuss your child’s progress so far. We strongly encourage parents to bring their children with them, as they are the focus of all of our efforts and have much to contribute! There’s so much happening at Woodhaven, (just a bit of what I’ve touched on here) and so many ways to learn about it. Please continue to check out our Facebook Page, our Twitter Feed, the PE blog and Instagram Account and our Daily Announcements! This entry was posted in Engage our Community, Fostering Effective Relationships, Leading a Learning Community, Uncategorized and tagged brookwood school, Parent Student Teacher Interviews, parkland school division, See You At The Pole, Stony Plain Central School, Wade Sorochan, Wolfpack Athletics, Woodhaven Middle School. Bookmark the permalink.